Now known more for his fearsome reputation as a curmudgeonly r&b shouter in a hat, at one point in the dim and distant past, Van Morrison was, well… a happy curmudgeon. In the early '70s his magnificent voice and mystic vision were wedded to an idyllic private life and final acceptance within a music industry that had consistently dealt him a bad hand. Many of his fans regard 'The Man' as hitting his artistic peak around this point. Certainly, between the late '60s and mid-'70s he amassed a body of work that remains peerless in the pantheon of blue-eyed soul. 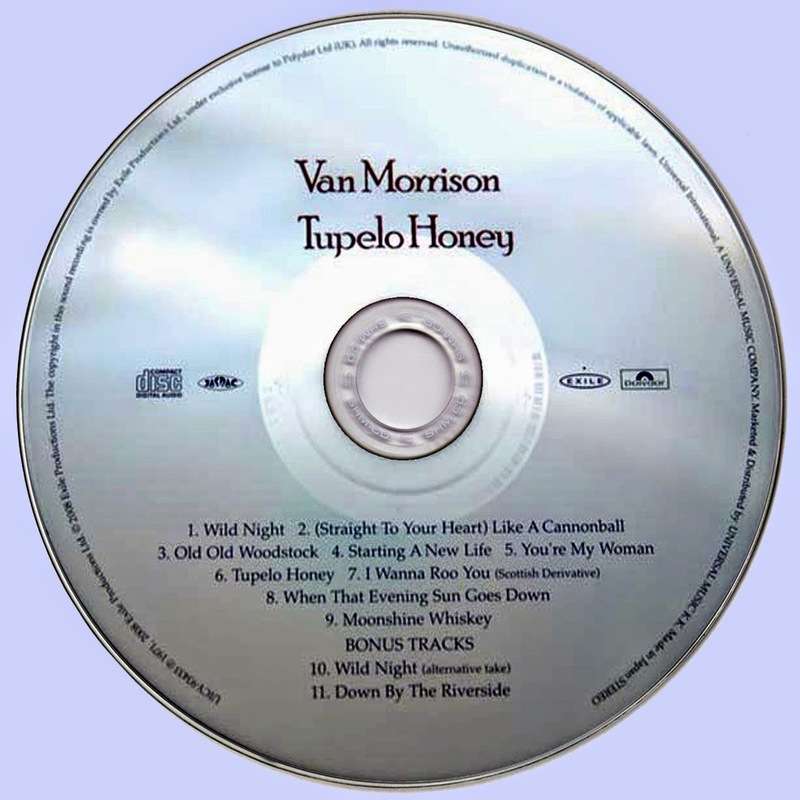 Tupelo Honey is, perhaps the most approachable of all these remarkable albums, now included in the first batch of this year's remasters. Having moved to the States under the management of Bert Berns as early as 1967, by 1970 the Belfast Cowboy was living in the hippy haven of upstate New York in Woodstock; next door neighbour to The Band amongst others. Having set out his stall – the richly varied fare of soul, jazz, r&b, and Celtic folk - on his previous three albums, he now could call on Warner’s new staff producer, Ted Templeman. 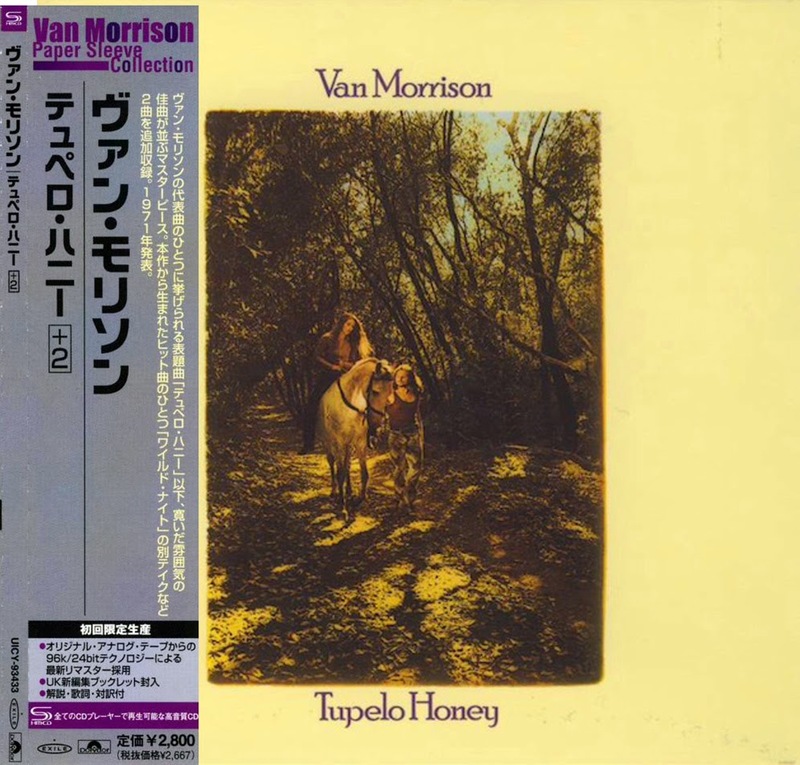 He also used a studio band that drew on those who’d helped make Astral Weeks such a sonic milestone (Connie Kay on Drums) as well as a host of seasoned players including his regular right hand man, Jack Schroer on horns, Ronnie Montrose on guitar, and - giving the album its more bucolic vibe - John McFee on pedal steel. Wrapped in a cover showing Van exploring the rural heaven of his farm along with, then wife, Janet Planet, horse and even cat (!) TH is full of sweetly autobiographical songs detailing the joys of nuptial bliss (You're My Woman, Old Old Woodstock, Starting A New Life, Tupelo Honey) as well as the kind of raucous shouters and jaunty, countrified numbers that always translated into brilliant live vehicles (Wild Night, Moonshine Whiskey, (Straight To Your Heart) Like A Cannonball). It's a mellow stew, mostly recorded live and guaranteed to brighten up anyone weary of the blues-by-numbers approach he seems to have adopted of late. All compositions by Van Morrison except where noted.